We have organized the Gamestorming toolkit by category. 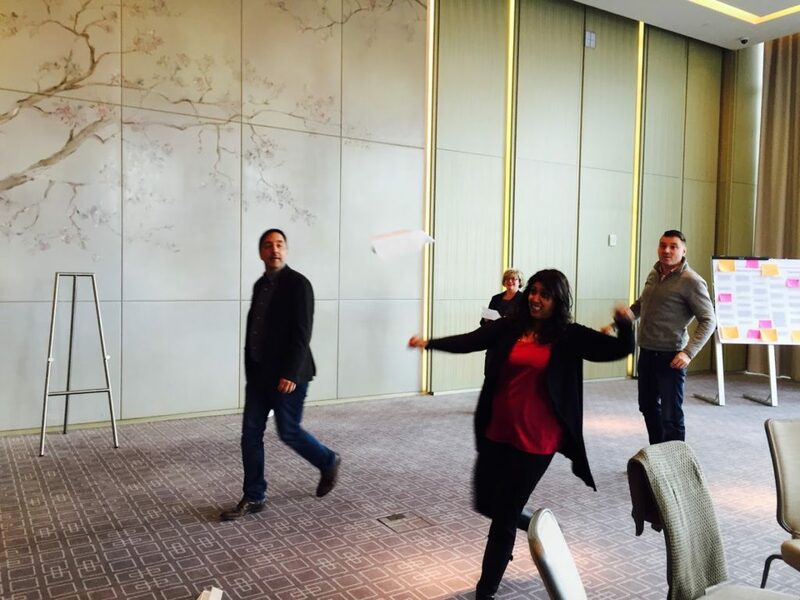 Games for opening a meeting. Games for fresh thinking and ideas. Games for team-building and alignment. Games for vision and strategy meetings. Many thanks to Bensound for the excellent music and to Boardthing for the online whiteboard tool. 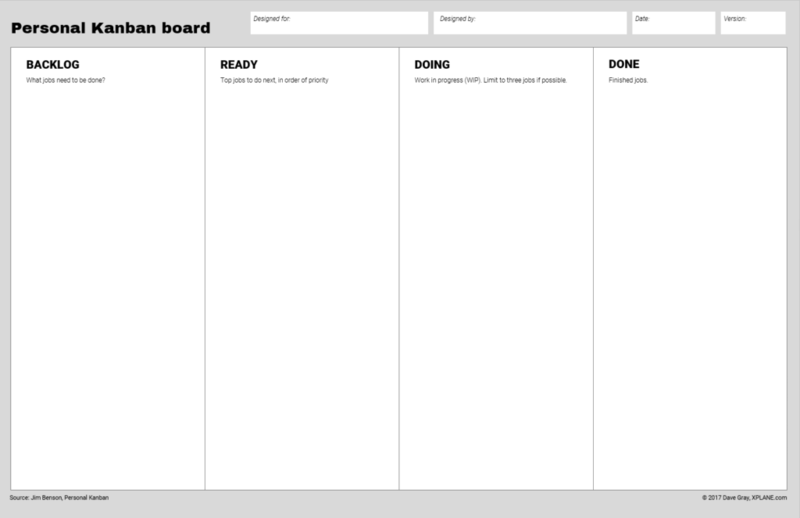 Personal Kanban is a tool for organizing your work to be more efficient and productive. 1. 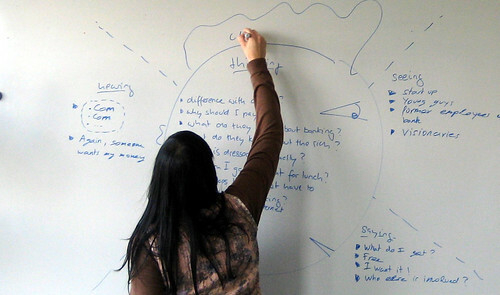 Divide a whiteboard or sheet of paper into four columns: Backlog, Ready, Doing, and Done. Or you can use this template. 2. Using sticky notes, fill the “Backlog” column with all the work that needs to get done. 3. Move the highest priority jobs to the “Ready” column. Then rank the jobs in the “Ready” column, from highest to lowest priority. 4. Take the top one to three jobs from the “Ready” column and move them to the “Doing” column. These are the things that you will work on right away. 5. As you finish each job, move it to the “Done” column. The key to understanding and using Personal Kanban effectively is understanding the nature of work. First, the importance of each job on your to-do list shifts over time, so you want to regularly re-prioritize your backlog, taking things off that are no longer important and moving important things to the top of the list (That’s your “Ready” column). Second, there are only so many things you can do well at any one point in time. So limiting the work-in-progress in your “Doing” column ensures you are not taking on too much and keeps you focused on getting things done. Personal Kanban can be used by individuals or teams to make their work visible and transparent to customers and colleagues. This allows better group conversations about what is important and why. Another advantage is that kanban boards show what people are working on, so it can help teams gain a better understanding of their capacity, which can in turn help teams justify new hires when they are needed. Personal Kanban was created by Jim Benson, based on kanban as used in Lean manufacturing. The Hero’s Journey Agenda is a unique and different way to lay out the agenda for a meeting or workshop that creates a sense of adventure and builds anticipation for the meeting. One, usually the facilitator, created live in front of a group. I am going to give you a script here, based on the video above. But this exercise works best if you make it your own, using a story you love and that you feel your audience will be familiar with, like a favorite fairy tale or movie. If you have geeks in the room, can actually talk about it in terms of Star Wars, or Lord of the Rings, or another story you expect the group to be familiar with. Draw a wavy line to represent the boundary between the known and unknown. “This is called the threshold. It’s the threshold between the known and the unknown. Write “The Call” at around 1 o’clock on the circle, and talk about the purpose of the meeting. You may want to ask people why they came and what their expectations are. Helpers can be things like teaching people how to use sticky notes in a certain way. There are a lot of Gamestorming tools in this category. We call them openers. So you can tell people “We’re going to meet our helpers and mentors.” Those helpers might be tools, or people, experts that we might bring in. It could be a keynote speaker. 5. Next you will talk about crossing the threshold between the known and the unknown. You can draw a coffee cup or a teacup here. There may be all kinds of activities or things that you’re going to do here. 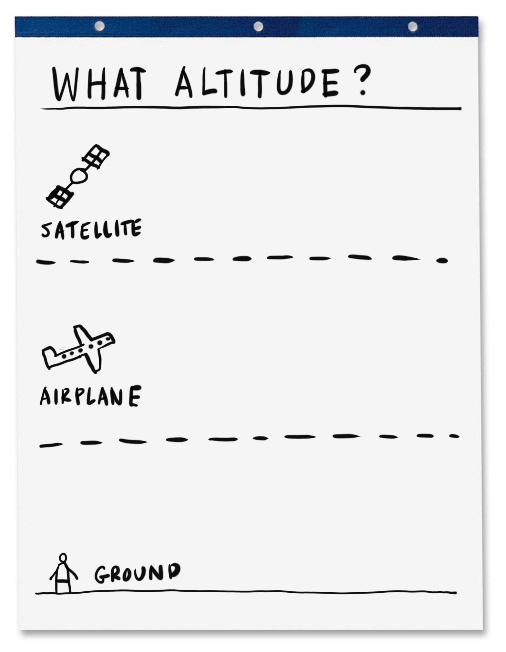 You might be brainstorming, you might be working stuff out, might be drawing a map of the system. There are a bunch of things that you can do to explore this problem space. In a story, you’re going to find all kinds of challenges: you have to climb the mountain, you have to fight the trolls, all the things that have to happen to move the story forward. Write the words “Problems and pitfalls,” and draw some explosions here, or barbed wire, or something representing problems and pitfalls, at 4 and 5 o’clock on your circle. 7. Now write the word “Pit” and draw a pit at the bottom of the circle. The pit, in a day long meeting, might be lunchtime. This is the part of the meeting where you make some time for the group to think together about how they are going to bring the new ideas from the meeting back into the organization. What am I going to do in my next meeting? How am I going to explain this to my team? You might actually work on the PowerPoint together or work on some documents that are about sharing what you actually did during the meeting. 10. At this point you can close the exercise by asking people if they have any thoughts and additions before you proceed with the meeting. This is a very powerful way to set up an agenda for a relatively large scale session of work. Spend some time upfront on this. 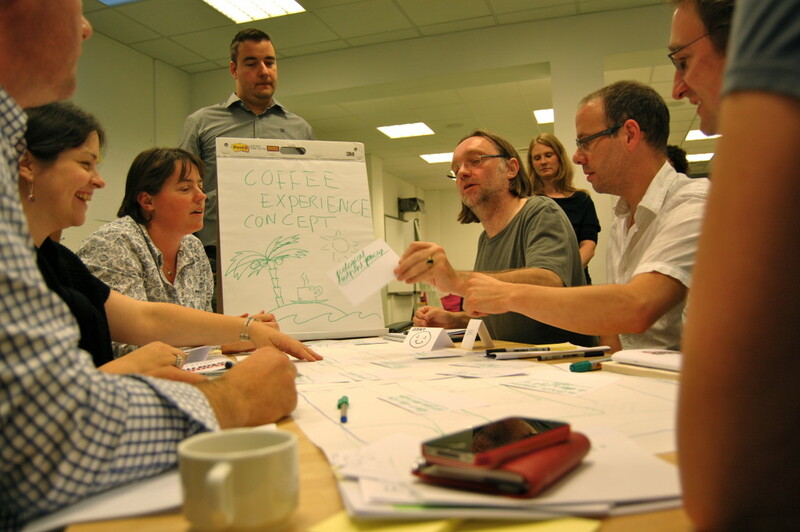 Draw it out and talk through it with key stakeholders, either before the meeting or at the beginning of the meeting. It is also a good litmus test to help you think through the goals of your meeting. If you can’t answer questions like, “What’s the call to adventure? What are the problems we want to explore? What are the things that we want to find? What are the things that we want to bring back to work?” and if you can’t sort of think these through at the beginning of a meeting, then it’s legitimate to ask yourself, should we really have this meeting? The Hero’s Journey Agenda seems to work really well, not only for designing the agenda but for making sure you have all the major bases covered and creating positive energy and enthusiasm for the whole endeavor. 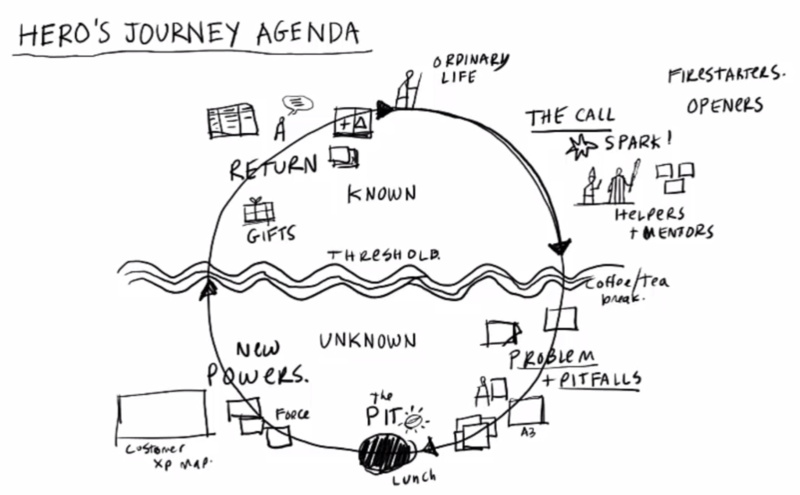 The Hero’s Journey Agenda was created by Dave Gray. 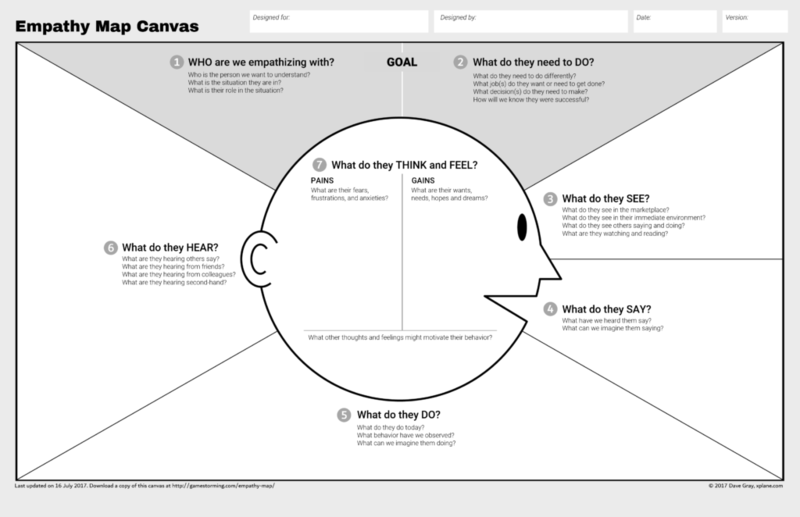 It was inspired by The Hero’s Journey, popularized by Joseph Campbell, and the Pie Chart Agenda, which comes from James Macanufo, co-author of Gamestorming.